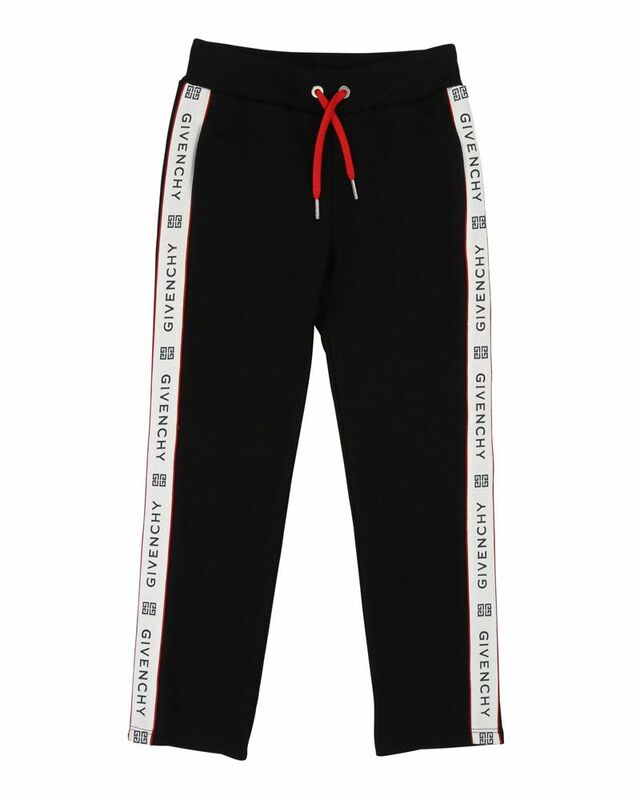 Givenchy soft cotton black pants with branded detailing down the leg and adjustable tie at waist. 86% Cotton, 14% Polyester. Imported.